Is it July already??!!?? The studio has officially moved into the garage! 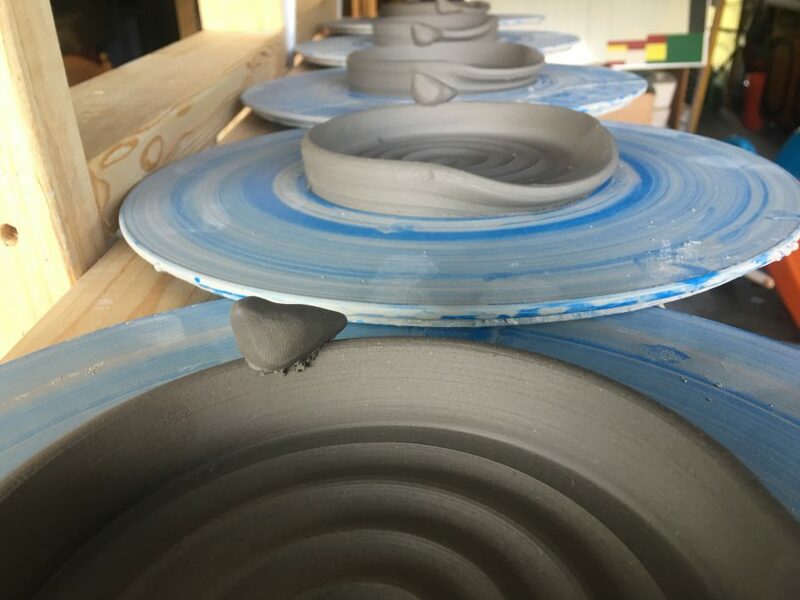 Pottery is starting to take shape in this new environment which is riddled with little fingers wanting to help dad with his “pottery”! Help that sure has good intentions but is sure to end in terror if you were a freshly thrown pot! Working at home sure has its benefits though, quick breaks from throwing slows for spur of the moment water gun fights and yummy blackberry picking! 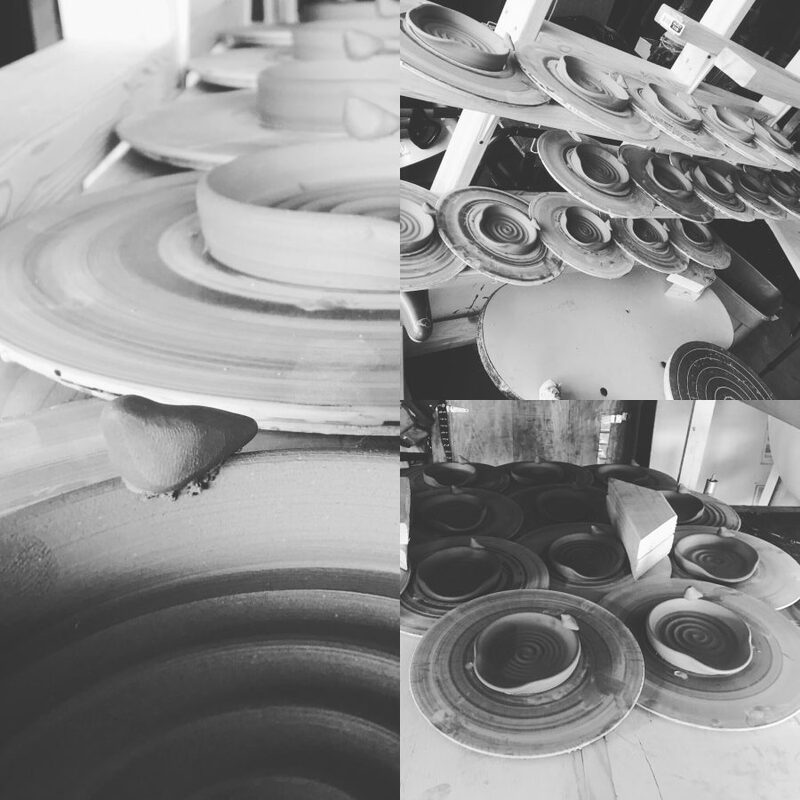 This year we are working on some new additions to our line of pottery. 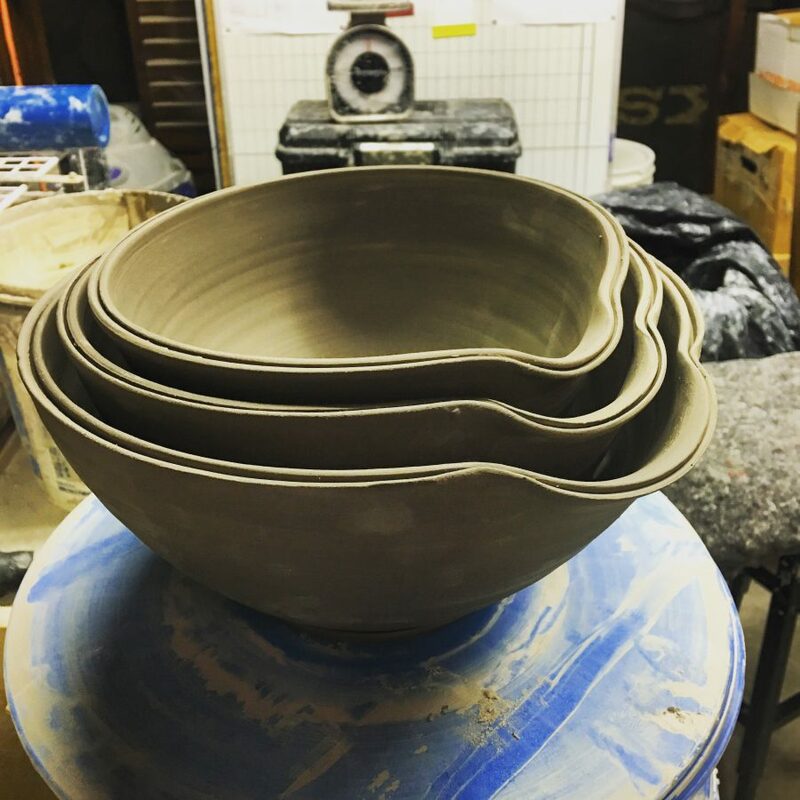 These nesting bowls will make their debut in Staunton Illinois in September. These are an adaptation to the design of our baking dishes, otherwise known as our cobbler bakers. 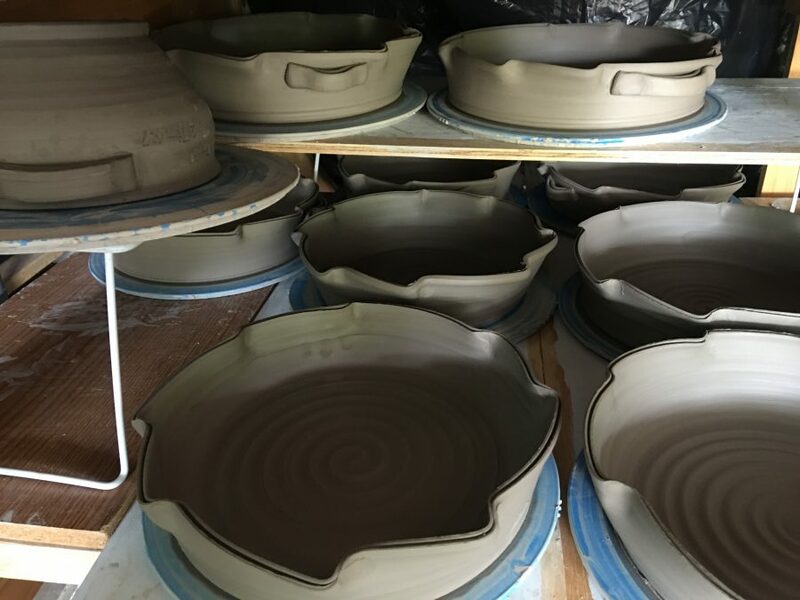 This new design will feature handles (some with, some without) and a new rim style, similar to the ‘split rim’ design pictured above on the mixing bowls. We will continue to offer the favorites, like the little birds nesting on top of the spoon rests. We will also continue our line of pie plates. This year look for the option of two different sizes. The Large will allow for a Small to nest inside for greater storage options. We will continue our new bread bakers (late fall 2015) they were a hit and people have sent pictures bragging about their wonderful loaves of bread. You will also be able to find our interesting salt shakers. The salt shakers are a bit larger this year, hoping to reduce the amount of refills needed as well as still offering something that can be easily grabbed with the hand. All of these items will debut this Fall at local area Art and Craft fairs around the St. Louis area. You will, of course, still be able to contact us directly from our Facebook page. Look for all these new items at the DowntoEarthenware booth which is also getting a facelift. Look for unique crates to display all of our awesome functional pottery! Christmas will come soon enough, don’t forget to complete your Christmas list early by contacting us for a one-of-a-kind dish for your loved ones!